OpenAI took the human Dota 2 champs OG for a ride with a best-of-three match, and it was crazy. It seems that we should perhaps be ready to bow down to our AI overlords, as European team OG lost a best-of-three exhibition match against five AI-controlled opponents in a game of Dota 2. OG isn't just a random team pulled to compete against the AI, though. They're the champions of the game right now, meaning an AI beat the winning team, the best the competitive world of gaming has to offer, without having to bat an eye – do AIs even bat eyes? That's a good question. The matches were pretty close for the most part, except for the second one, where the AI team wiped the floor with the human players. There was also a co-op match with two teams, a mixture of human and computer players for good measure. You can view the match, which is quite terrifying when you think about it. The match went 2-0 with the AI coming out on top. The AI team, powered by OpenAI, is using similar tech for robotic applications in the future, which means we should probably learn to start respecting robots whenever we see them so they can pick out the "good" humans and treat us better when the robotic apocalypse arrives. And then if you feel like you can hack it, OpenAI is inviting anyone to come and try to take on or play with the OpenAI bots. There are slots for five-on-five teams, co-op, and solo co-op matches via the official OpenAI site. 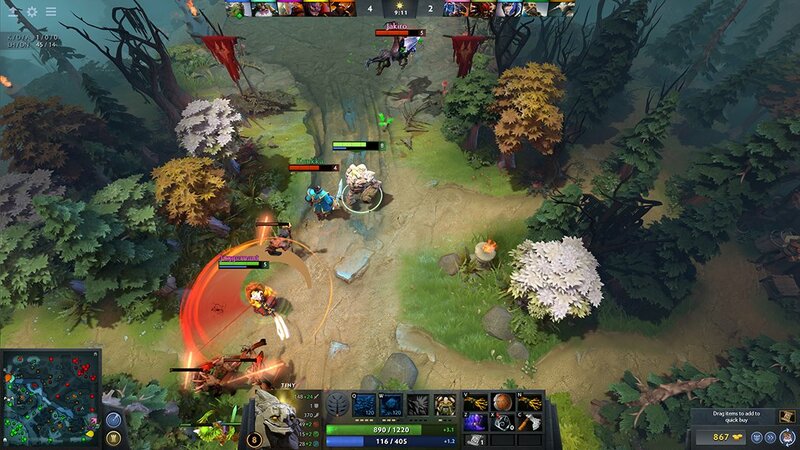 It sounds crazy, but this is the world we live in now, folks – AI matches in Dota 2. Do you think you can take them?